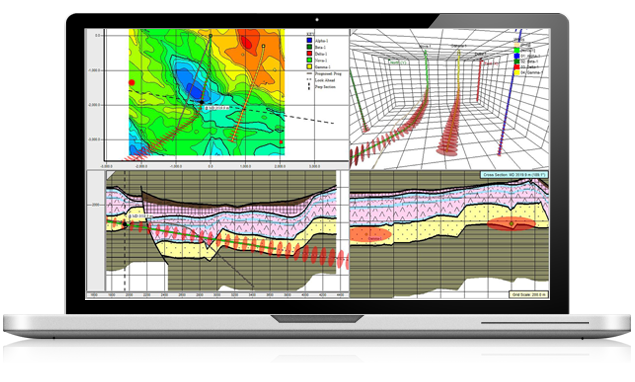 Effective modeling & monitoring of geological, petrophysical and pore pressure attributes utilizing the fastest 3D engine on the market. 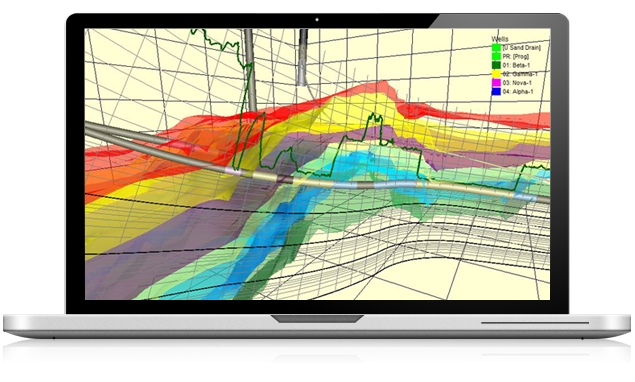 DyanView allows you to import seismic surfaces from a variety of interpretation applications and petrophysical offset well data to instantly create a 3D model. 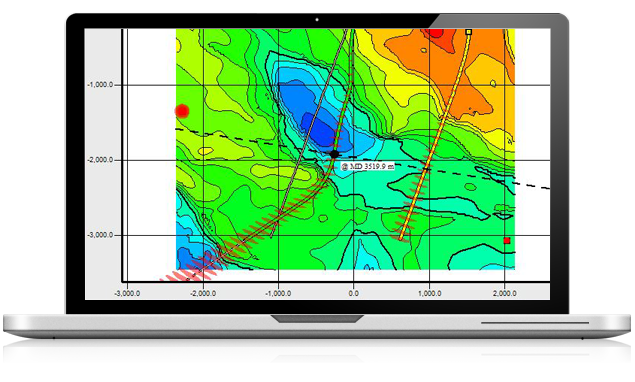 Developed in collaboration with skilled operators, academic researchers, drilling engineers & structural geologists. Mexico and deepwater West Africa. DynaView will run on most standard modern laptop and desktop PC’s using any of the windows operating systems. Reduce your project risk by staying on target in the heart of the reservoir and establishing optimal landing trajectories as quickly as possible. Fastest 3D engine on the market, deployable on a laptop computer. Simultaneous display of multiple log types for seamless correlation. 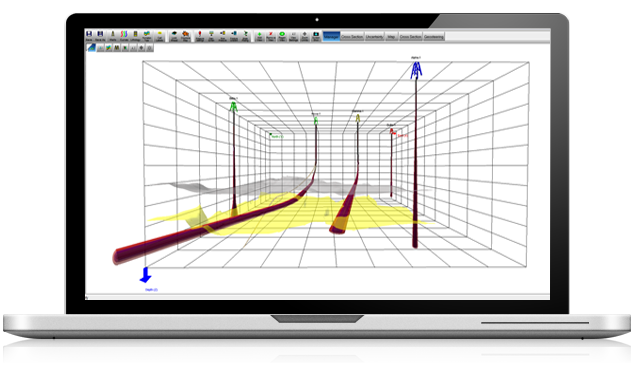 On the fly fault interpretation and input with real time model update capability. 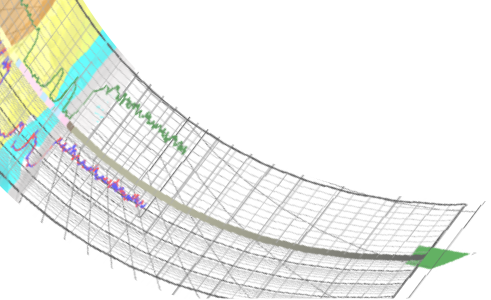 Mitigate collision risks with ellipsoids of uncertainty. 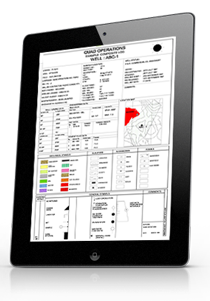 Drill a well utilizing all of your available offset data, including any and all petrophysical logs, seismic surfaces and geological data. 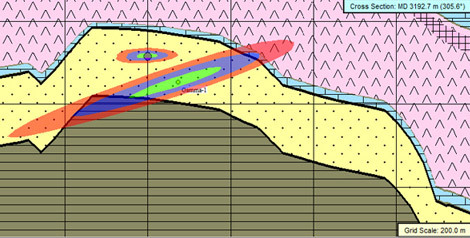 Instantaneously generate a prognosis that is statistically weighted and balanced to take into account regional geological trends. 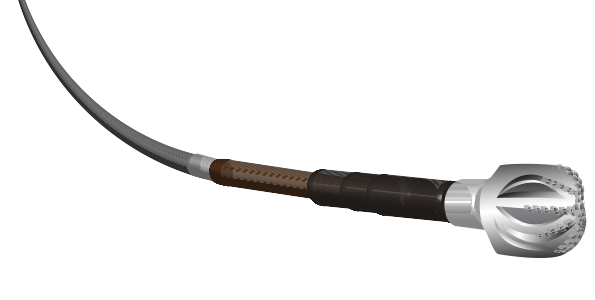 Update the 3D model, adjust the well path and optimize the well landing in real time with WITSML. 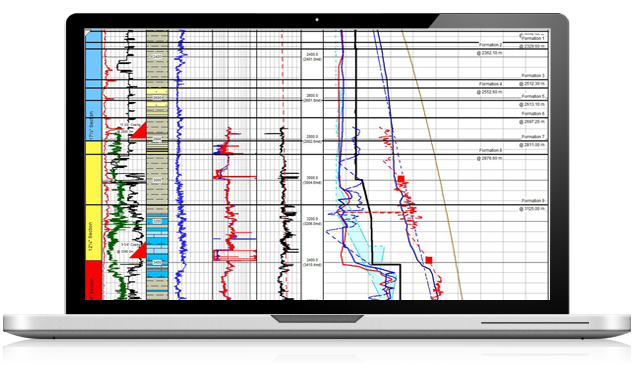 Taking all offset geological data into account, rapidly integrate several wells to complete your Pre-Drill Pore pressure analysis. Utilize real time data, plot changes and updates to your model instantaneously. Maintain safe drilling margins and optimize drilling efficiency. Risk management and cost reduction. 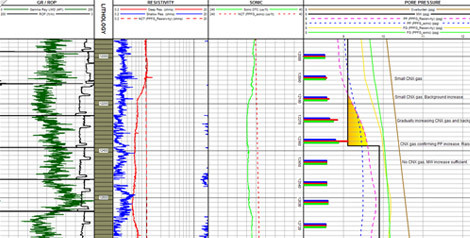 Identify drilling hazards related to subsurface pressures, well bore stability and local geology. Deliver a clear picture of the mud weight window. 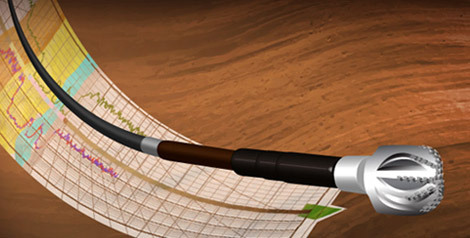 Leverage the power of 3D predictive lookahead capabilities to both geosteer the well into the sweet spot and manage pressures while drilling in real time.